The 2010 BGA meeting was held from 2-5 June 2010 at the Grand Hyatt Hotel in Seoul, South Korea in conjunction with the 13th International Congress on Twin Studies (4-7 June 2010) and A Special One-Day Pre-Congress Workshop for human behaviors and complex diseases (June 2). Yoon-Mi Hur is the local host. The 2008 BGA meeting was held from 25-28 June 2008 in Louisville, Kentucky, USA. Deborah Finkel [dfinkel@ius.edu] was the local host. The 2006 BGA meeting: 20-25th/June 2006 in Storrs, Connecticut, USA. Local Host: Dr. Stephen Maxson. The 35th Annual Meeting of the Behavior Genetics Association was held the 29 June-2 July 2005 in Hollywood, California, USA. Laura Baker and Chandra Reynolds served as Local Hosts. 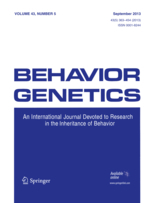 The 34th Annual Meeting of the Behavior Genetics Association was held the 27-30th June 2004 in Aix-en-Provence,France. Pierre Roubertoux served as Local Host.